the fear of the Lord is the key to this treasure." Isaiah 33 is the This is the fifth of a series of woes. (The word “woe” is used 7 times.) Four of the five woes are directed at God’s chosen nation. This fifth woe is the only one directed at a foreign nation. This nation is Assyria. These woes run through chapters 28-33. Chapter 32 of Isaiah speaks of righteous rulers in time that foreshadow the Messiah and his kingdom. No one dared to break a treaty with Assyria or else Assyria would destroy their land. There like an eschatological message in this that may be speaking to the ultimate Destroyer and the first Traitor: Satan. “When you stop destroying” refers to the time when Assyria, like all nations in time, will come to an end. This is one of the themes of human power in the scriptures: It will ultimately cease. No matter how great the nation or empire (Egypt, Assyria, Babylon, Persia, Greece, Rome, Germany, England, Russia, United States) there will be a historical fall and collapse of that people. These empires must spend their time in their glory and their prime realizing that this day of judgment at God’s direction by the hands of the other nations will come. Treat you future conquerors righteously and justly. 3:2 This is a prayer of the people of Jerusalem in 701 BC when the events of chapter 36-37 occurred. When Jerusalem saw that nothing they did could deliver them they turned to God. When all their treaties, trips to Egypt, and tribute to Assyria had failed Sennacherib’s field commander stood at their walls. At this final moment they cried out to God. It was easy to wait on God then. They had no other choice other than to completely harden their heart. Notice: Isaiah ministry is starting to produce fruit in the lives of his people and in the values of his nation. 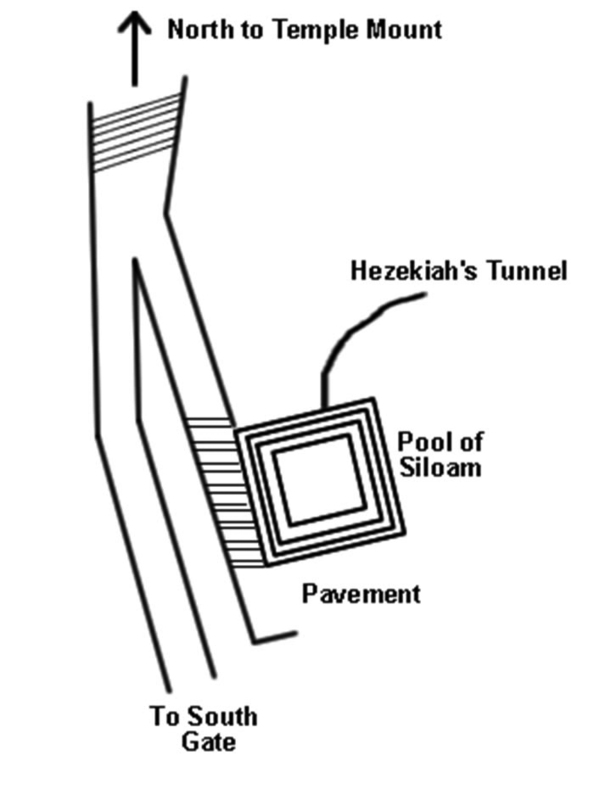 Jeremiah began to proclaim the word of God to the people in 740 BC. It is now 701. It has taken more than 35 years. That is an entire 40 year generation. How can Isaiah suddenly speak of deliverance for Jerusalem now when he has been predicting destruction in the first four woes? Because, the people’s focus has changed. They were trusting in nations up until this point. When the people’s focus changes then God’s response changes. The “woe” has gone from Jerusalem to Assyria! God was using Isaiah and the Assyrians to cause his people to cry out to him. When they cry out for help then Assyria is in dangerous ground because they are attacking people who are seeking God’s help. Trust nations and be destroyed by God. Trust God and the oppressing nations will be destroyed. “We long for you” or “We wait for you” indicates a change of faith focus. No longer are they looking for Egypt. The result is “all of Jerusalem was saved. Now, an entire generation had been lost, but in the end the people of this day were saved as a whole. A greater future day is coming for Israel. When they have no other option but to cry out to God for help he will deliver. 33:3 The Lord is anticipated appearing for deliverance. The nations that where feared (both positively – sought to help, and negatively – as a destroying enemy) are overthrown. 33:4 When God has finished his quick destruction of the nations what they had taken as plunder will be pounced on by men like young locust. 33:5 The Lord’s victory will place him as clearly the supreme ruler over all. From his exalted position he will provide justice and righteousness to the people. This is similar to many other verses including Isaiah 32:15 where the Spirit is pour out from this exalted position of the Lord. There the result is physical productivity along with justice and righteousness. Righteousness is said to produce peace, which results in quietness and confidence. Wisdom – true and correct evaluation of situations, values and issues. This is subjective application of objective knowledge. Knowledge – recognition of correct information and possession of facts that are true. These are the objective things. “Beginning” does not mean you start there and leave it. It means it is the first and controlling principle. He is the foundation or the cornerstone of Isaiah 28:16. These verses (7-9) describes the situation Judah was under at the time due to the Assyrians. In verses 10-16 we see God’s response to the crisis and to the people’s faith. 33:7-9 Heroes and diplomats can not help. The warriors who were to defend the city are crying. The envoys who had gone to Egypt to secure protection weep. Those who signed the peace treaty with Assyria and gave Sennacherib Hezekiah’s payment are despised because their promises to the people failed since Sennacherib did not honor their treaty. Now, finally, after 39 years (740-701 BC, chapter 6 to 33), the people are waiting on God and they will be blessed! Stauros (Gr) – cross (Eng) – the Greek word staurosis an “upright stake.” The verb stauroo means “to fasten to a stake.” The stauros was originally a stake similar to a pole and not a cross shaped like a “t”. By Roman times the stauros had a cross beam added to it. I will live in righteousness and trust God so that I may experience the peace that comes from being able to wait confidently for his deliverance. 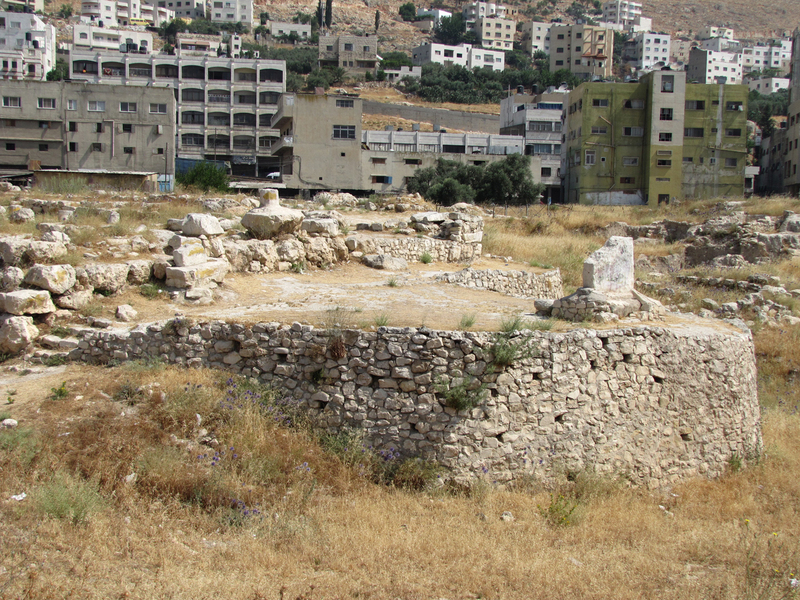 A worship center at Shechem between Mount Ebal and Mount Gerizim. "Many pastors criticize me for taking the Gospel so seriously. But do they really think that on Judgment Day, Christ will chastise me, saying, 'Leonard, you took Me too seriously'?" The reason for the “eye for eye, tooth for tooth, hand for hand, foot for foot” legal code in Exodus 21:24 was not to establish a legal method of revenge. Revenge was already part of the legal code of the ancient world. Instead, the “eye for eye” legal code was the establishment of an equal and just legal system that limited vengeful retaliation. “Eye for eye” applied to everyone and limited everyone including kings, noblemen and the elite from the retaliation of a minor injury or offense by a common citizen or a servant with torture or capital punishment. A Hebrew ostracon from 620-580 BC was found south of the Temple mount in Jerusalem with a list of names. The last name that is readable is Uriah, which is the name of the priest in King Ahaz's day and spoken of in Isaiah 8:2. There is no clear indication this is the same man, but it is the same name. The time of Isaiah's reference and the dating of the ostracon are about 100 years apart. but it is the ruin of those who do evil." They have left the dead bodies of your servants as food for the birds of the sky, the flesh of your own people for the animals of the wild. They have poured out blood like water all around Jerusalem, and there is no one to bury the dead. We are objects of contempt to our neighbors, of scorn and derision to those around us. How long, Lord? Will you be angry forever? How long will your jealousy burn like fire? for they have devoured Jacob and devastated his homeland. Do not hold against us the sins of past generations; may your mercy come quickly to meet us, for we are in desperate need. Before our eyes, make known among the nations that you avenge the outpoured blood of your servants. May the groans of the prisoners come before you; with your strong arm preserve those condemned to die. Pay back into the laps of our neighbors seven times the contempt they have hurled at you, Lord. Awake, awake, Zion, clothe yourself with strength! Put on your garments of splendor, Jerusalem, the holy city. The uncircumcised and defiled will not enter you again. Shake off your dust; rise up, sit enthroned, Jerusalem. Free yourself from the chains on your neck, Daughter Zion, now a captive. “At first my people went down to Egypt to live; lately, Assyria has oppressed them. “For my people have been taken away for nothing, and those who rule them mock,[a]” declares the Lord. “And all day long my name is constantly blasphemed. Depart, depart, go out from there! Touch no unclean thing! Come out from it and be pure, you who carry the articles of the Lord’s house. But you will not leave in haste or go in flight; for the Lord will go before you, the God of Israel will be your rear guard. See, my servant will act wisely[b]; he will be raised and lifted up and highly exalted. so he will sprinkle many nations,[d] and kings will shut their mouths because of him. For what they were not told, they will see, and what they have not heard, they will understand. Yet it was the Lord’s will to crush him and cause him to suffer, and though the Lord makes[g] his life an offering for sin, he will see his offspring and prolong his days, and the will of the Lord will prosper in his hand. After he has suffered, he will see the light of life[h] and be satisfied[i]; by his knowledge[j] my righteous servant will justify many, and he will bear their iniquities. Therefore I will give him a portion among the great,[k] and he will divide the spoils with the strong,[l] because he poured out his life unto death, and was numbered with the transgressors. For he bore the sin of many, and made intercession for the transgressors.